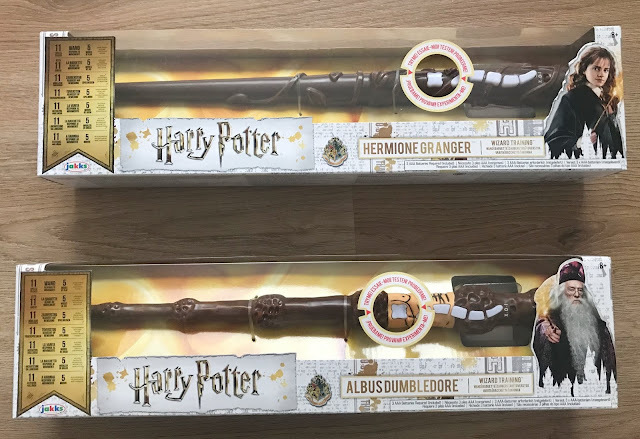 Jakks Pacific has recently launched Harry Potter Wizard training wands, just in time for Christmas and they have already been tipped to be one of this years must have toys. There are four different wands to collect Harry, Hermoine, Dumbledore or villain Lord Voldemort. 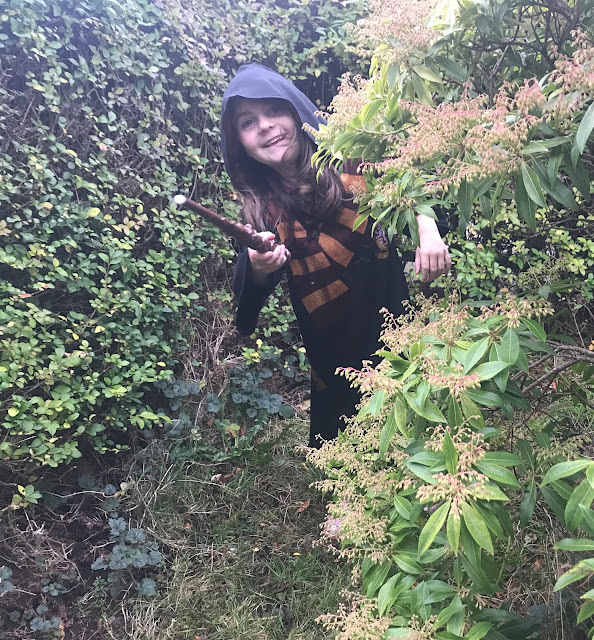 We were sent Hermoine and Dumbledores, meaning the children could duel together and have fun casting spells on one another. Each wand has five different modes of play which are Spell Training, Spell Practice, Training, Wizard Tag or Free Play. You get a spell sheet in the box with your wand and instructions on how to use your wand on its own or with another wand, they do work best if you have two as you can use all the features however I bet they would be fine for a child to play with on its own. 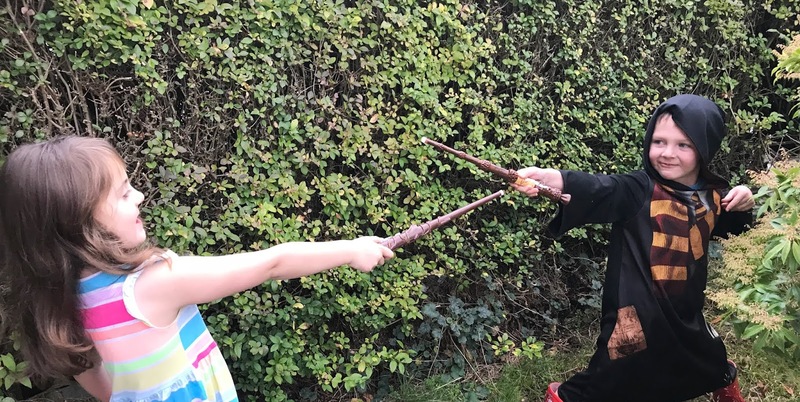 The wand will light up and make noises when you cast your spells and they are really fun for children. The children have had so much fun playing with these wands, they love that they make noises and they sneak up on one another to cast spells. They have had so much fun dressing up and playing Harry Potter games together, reenacting scenes from the film as they are great for imaginative play. You can buy the Harry Potter Wizard Training Wands now from leading stockists priced at £25 each. If you have a teen or adult Harry Potter fan to buy for this Christmas I am sure they would like these Harry Potter PJs from New Look. Disclosure we were sent these wands for the purpose of this review, however, all opinions are my own. These look like great fun! they were selling wards at universal that you waved at the windows at the theme park but was $50 eeek! you can get two for price of one wiht these ones and at least they do things at home!